2000W. Practical and comfortable with ergonomic handle and brand new side switches. 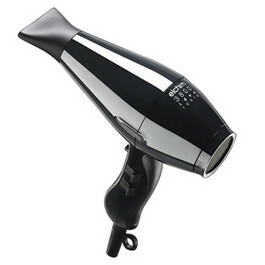 Light and balanced, this new generation compact hairdryer with an ionization device helps moisturize the hair, making it smooth and silky and eliminating electrostatic charges & frizz. Easy clean filter & comfort grip handle. Made in Italy.